Step inside the geographic and cultural center of Spain, the beating heart from which national highways and social, political, and artistic movements emerge. 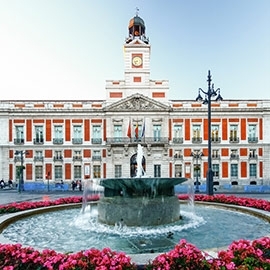 A cosmopolitan European capital, Madrid welcomes residents from all over the world yet manages to preserve a distinctly Spanish feel. 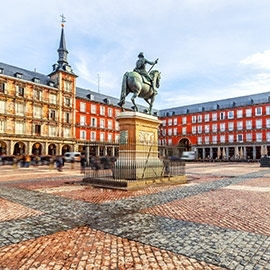 Munching on calamari sandwiches in sunny Plaza Mayor, sharing tapas under the vaulted of cave-like basements in medieval La Latina, and gazing out over the steeples and city lights from a rooftop bar are all quintessential Madrid traditions you'll have to check off your list when you study Spanish here. Art lovers and architecture geeks will never want to leave: a city of contrasts, Madrid embraces the historic and the avant-garde, the glamor and the grunge, the international and the homegrown. 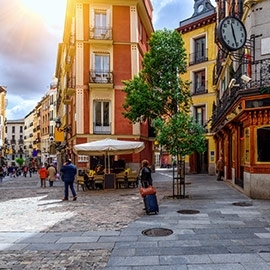 From stunning cityscapes and award-winning green spaces to world-class art museums, top soccer teams, and a legendary nightlife, learn Spanish in Madrid, the city that has it all. 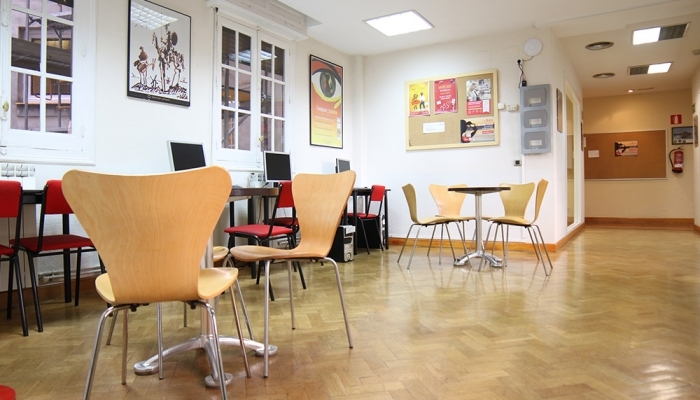 Our Spanish school in Madrid is located in a beautiful, fully rennovated historic building in the central university district, an urban atmosphere full of young people to meet and practice your Spanish with. 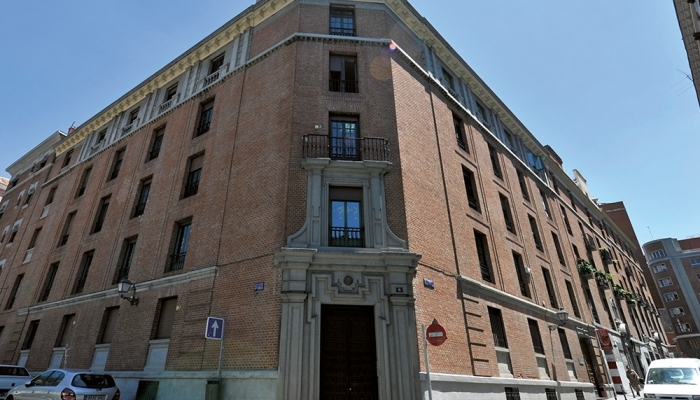 Our building is next to the 18th-century Liria Palace, right around the corner from the enormous Conde Duque cultural center. Plaza de España and Gran Vía are just a 5-minute walk away. 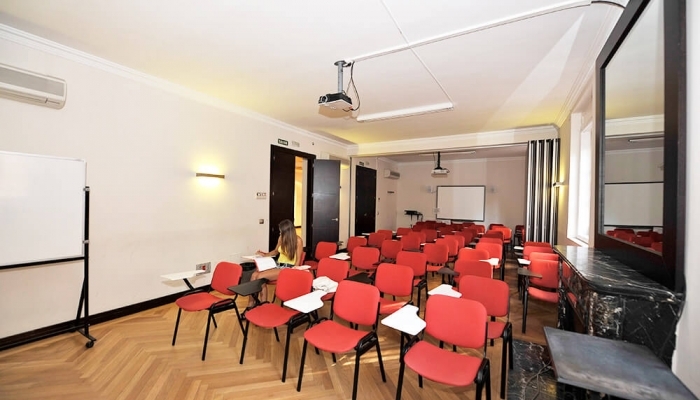 The school's common areas provide a comfortable environment where students can socialize and relax in between classes and activities. A great place to learn Spanish! 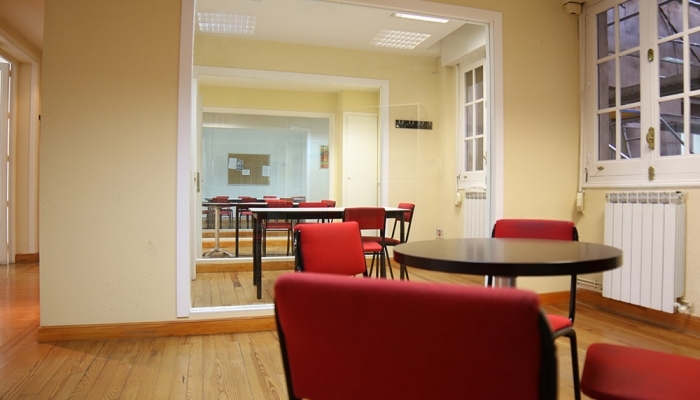 Our Spanish courses in Madrid will prepare you to speak Spanish in the real world. 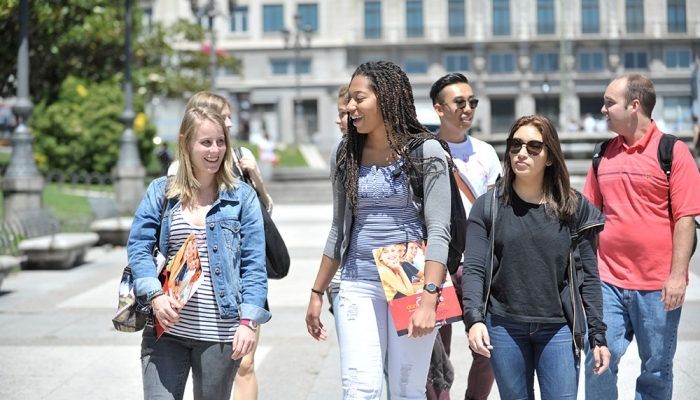 Whether you decide to certify your level with a DELE Exam, learn alongside other international students in an intensive course, or get all the individualized attention you need with private one-to-one classes, our goal is for you to develop the skills and confidence you need to communicate in any Spanish-speaking environment. 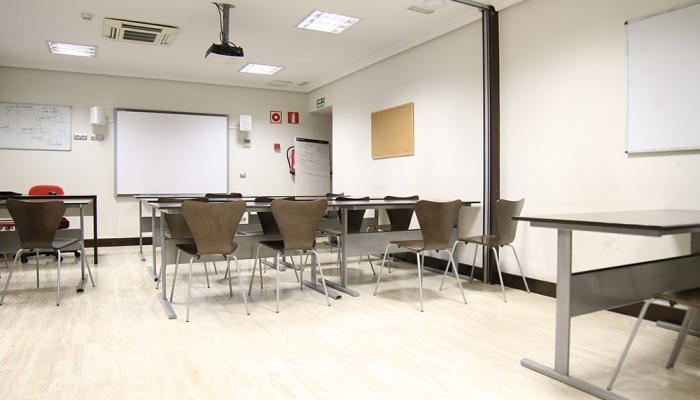 When you take Spanish classes in Madrid, we'll give you the tools you need to continue speaking in Spanish all day, long after you leave the classroom. 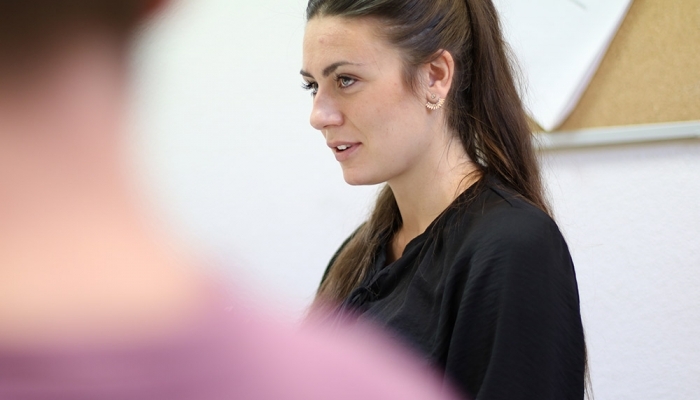 Our motivated and experienced teachers will work with you to make it possible! 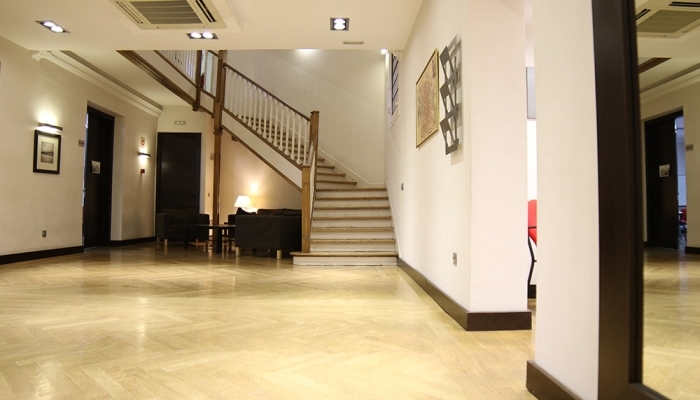 Make your stay with don Quijote Madrid even more unforgettable by choosing one of our accommodation options. Whether you prefer to stay with a local family, in our student residence or a shared student apartment, you’re bound to feel a part of this beautiful and vibrant city. Madrid will keep you on your toes from the moment you arrive. You'll never run out of new avenues to explore, which makes it the perfect city to study Spanish and be immersed in the local culture! Spain's capital city offers endless options for entertainment, fun events, and a vibrant restaurant scene. 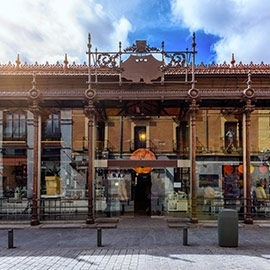 Located in the center of Spain with great connections to other Spanish cities, you´ll be swept away by everything there is to experience and explore. 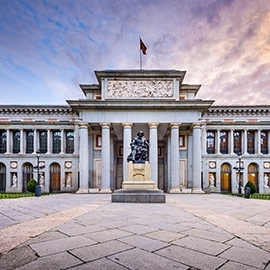 Madrid hosts some of the world's premier art museums, and the Prado Museum is one of them. More than 1,500 masterpieces are currently on display. From Velazquez to Goya and many works of art from all across Europe. A definite must-see. Madrid is a city where everyone feels at home. Art and history lovers cherish the sheer number of incredible museums, including the Golden Triangle formed by the Prado, the Reina Sofía, and the Thyssen museums; social butterflies love the trendy nightlife; indie kids and hippies flock to the hip Malasaña neighborhood or the multicultural Lavapiés area; and LGBTQ folks thrive in the Chueca neighborhood and beyond. The city streets are full of creative corners and cobblestone streets, plant-lined windows, inviting cafés, and delicious restaurants waiting to be discovered. 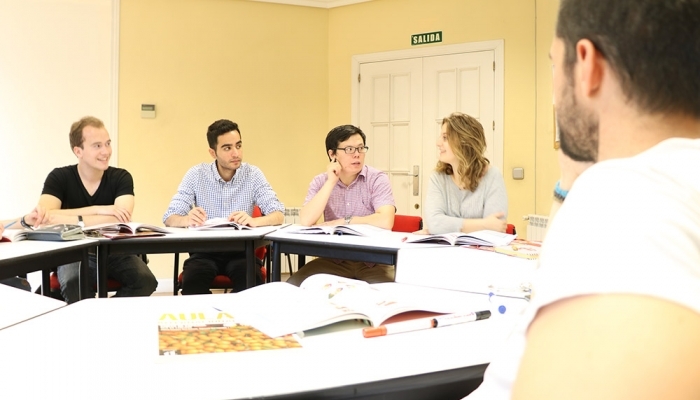 Learning Spanish in Madrid will open the door to a whole new Spanish-speaking world you can be a part of.